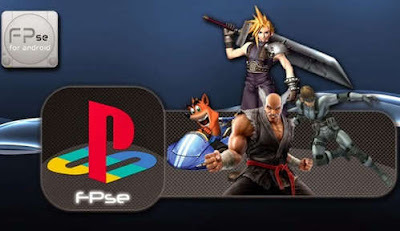 If you've ever wanted to play your Playstation games on the go right on your Android device, then FPse for android is the perfect app made for just that. This is the best PSX emulator you'll ever find. It can play almost any game you throw at it in the highest resolution possible thanks to its advanced OpenGL feature. The sound quality is top notch, and game compatibility is highest on the market. Remember though that FPse for android full APK requires that you have a ROOTED device with Mod Play Store or Lucky Patcher to activate the full version. But after you do that, you'll be able to take advantage of its full potential like saving gameplay state, gamepads support (PS3/PS4/XBOX,etc), advanced gun emulation, and much more. A Playstation bios may also be required after initial setup, that's why I included it with the apk. FPse also has an exclusive cheat codes auto-search, and multiplayer functionality. It can even support the latest VR Glasses (in beta).. Supported game copy file formats include .img, .iso, .bin, .cue, .nrg , .mdf , .pbp and .Z disk, etc. Plus compressed file types using .rar .zip, etc are smartly extracted autmatically. Only use the Bios if your emulator asks you to, and if it requires some other version, let me know! You need ROOT + LP/Modded Play Store to activate the full app. done! download the new version!